Spring is in the air. 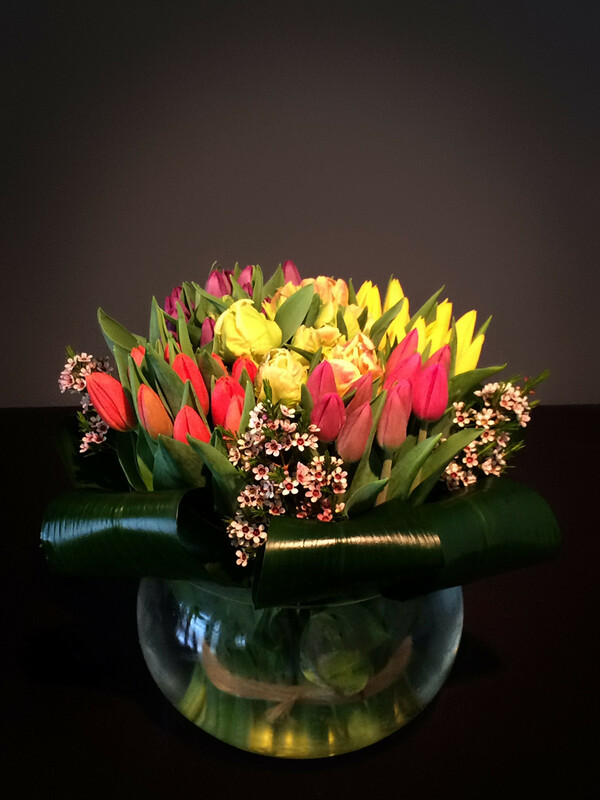 This beautiful vase is filled with lush Holland Tulips and wax flowers. A guaranteed hit!